The theme for this month's box is Makeup On Pointe which seems like a ballet theme. Keep reading to see what was included in this month's box. This is a nice gritty lip scrub. I've never received a lip scrub in a beauty subscription box but I definitely appreciate receiving one this time of year with the cold dry weather! This is an asbolutely beautiful maroon shade of nail polish. Perfect for this time of year! I will definitely use this the next time I paint my nails. Be sure to follow my Instagram account to see a photo. 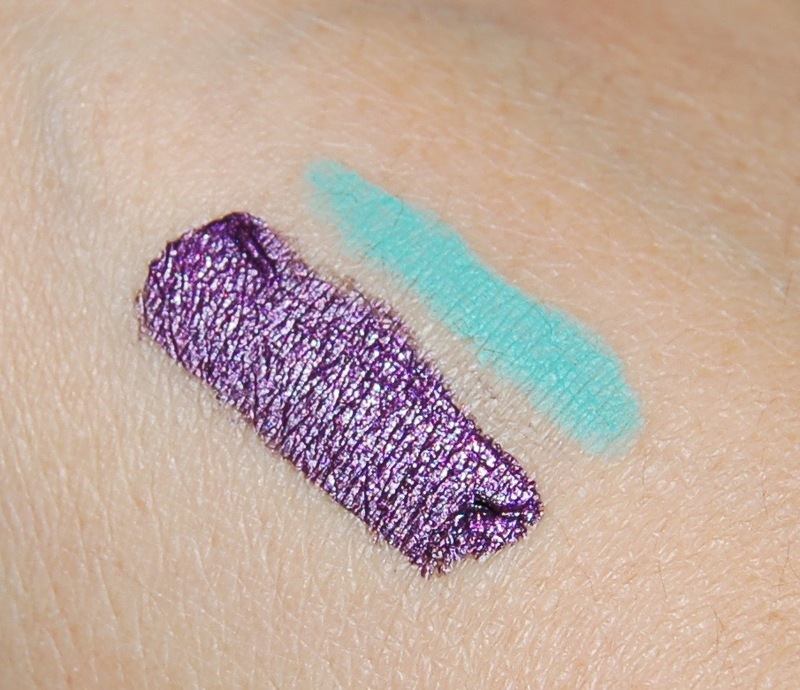 This is a beautiful mint color eye pencil. It's a perfect color in put in your waterline for a pop of color when you're wearing a neutral look on your eyes. As always, I love when we receive Makeup Geek products in our Boxycharm boxes! See swatch below. 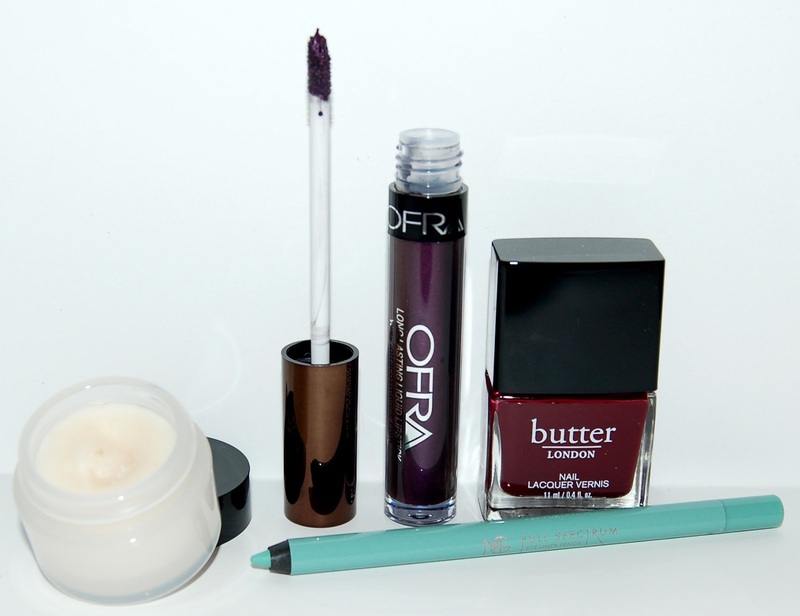 I already know that I love Ofra liquid lipsticks, so I was excited to see this in my box this month. This is a gorgeous metallic deep purple shade of lipstick. I do love the color but it's not very practical for my life so I'm not sure how much use I'll get out of it. See Swatch below. WOW, they included another full palette in our box this month! 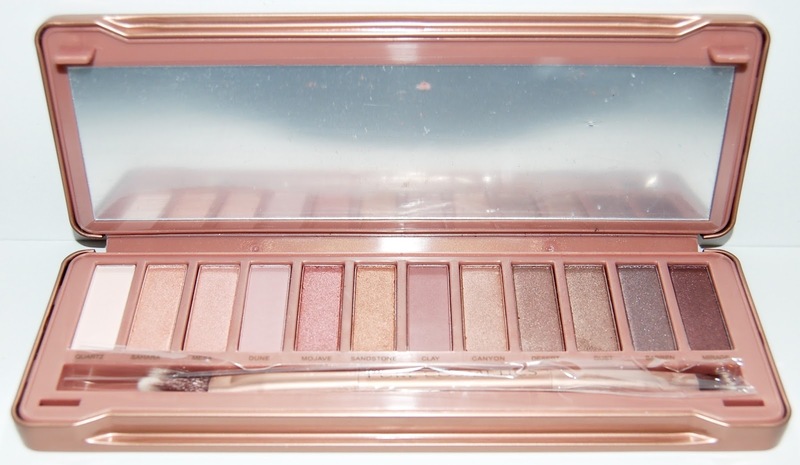 This looks like it's a total dupe of the Urban Decay Naked 3 Palette which is amazing! There are 12 shadows in this palette which a mix of mattes and shimmers as well as a double ended brush. I don't love these types of shades for my coloring so I will be passing this palette along but I'm super impressed that it was included in this month's box! 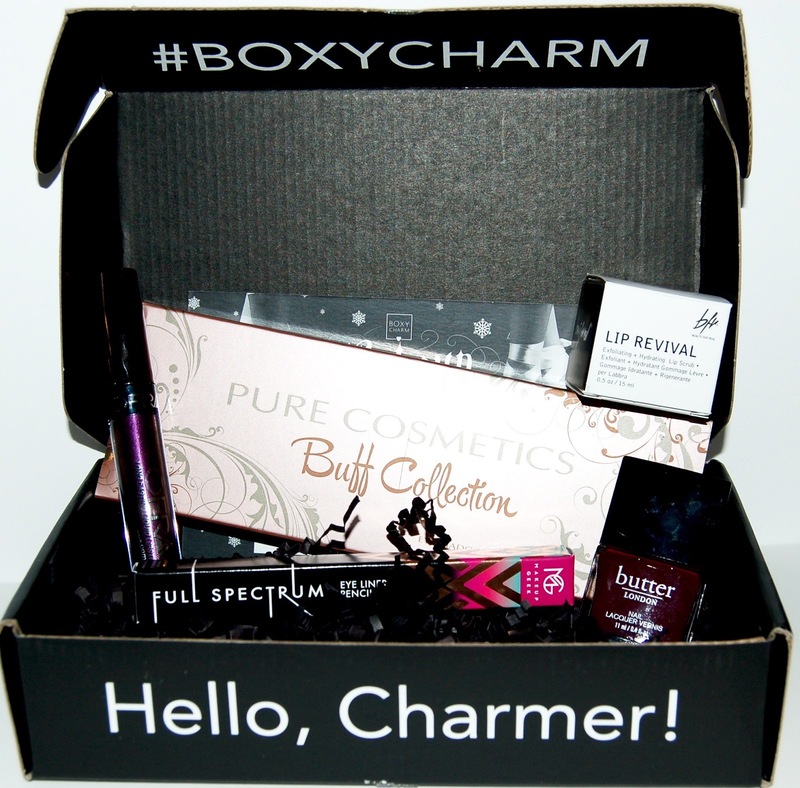 Boxycharm has been hitting it out of the park the last several months! I love everything that was in this month's box but I will get the most use out of the Makeup Geek eyeliner, the Butter London nail polish, and the lip scrub. I do appreciate that we got a full size beautiful eyeshadow palette and the Ofra liquid lipstick. Each Boxycharm box costs $21, you can cancel at any time and shipping is free. The retail value of the items in this box comes to $108, that's more than 5 times the cost of the box!